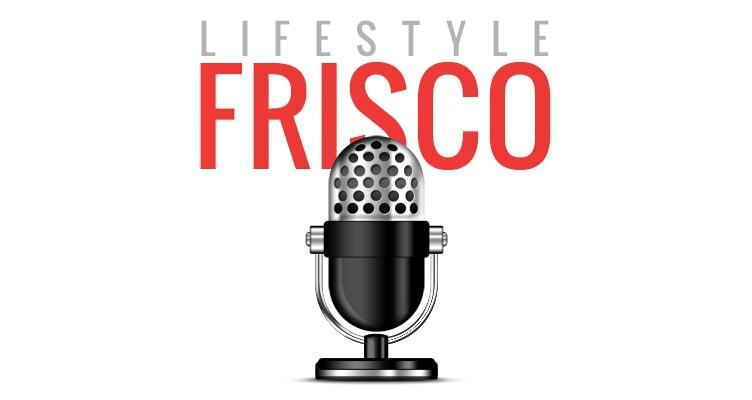 Scott Ellis: Welcome to the Frisco podcast. I’m your host Scott Ellis. This week, Tammy Meinershagen, the president of Frisco Association for the Arts is joining me to talk all about what’s been happening with them and what they are doing for the arts in Frisco. Welcome to the Frisco podcast. All right, Tammy, good to have you here. Thank you for joining me. Tammy Meinershagen: Thank you for having me. Scott Ellis: There’s been a whole lot of stuff going on over the last year or so for the Frisco arts. People probably know a little bit about it. They probably don’t know everything, but we’re going to try to dig in a little bit and tell them what’s going on, bring them up to date on all of the good arts things that are happening in Frisco. There is quite a bit. You guys are doing a good job. There’s actually a couple of arts organizations here in Frisco. There is the Frisco Association for the Arts. That’s you guys. Then there is the Frisco Public Arts Council. Scott Ellis: I’m sorry, Public Arts Board. Tammy Meinershagen: Yes, that’s right. Scott Ellis: Art board. What is the difference between those 2 and how do they work together, or function? Tammy Meinershagen: Mm-hmm (affirmative). That is a great question. In fact, a lot of people ask me that and are confused because I serve on both the Public Art Board and Frisco Arts, I can give you my simple answer which is that the Public Art Board manages the public art in Frisco. Frisco Arts serves as a champion for all of the arts in Frisco, music, dance, theater, visual art. I can unpack that a little more. The Public Art Board is a city board with members that are appointed by City Council. Their main purpose is basically to oversee the art selection process for the city’s public art program. There is a public art ordinance that 1% of every capital project must be used on public art. That means we actually have a really large collection of public art in Frisco. With the passage of the new bonds, we’re going to have even more projects, so the city of Frisco even hired a new public art coordinator to handle all the projects coming. The Public Art Board makes final recommendations to the City Council for the public art commissions. Frisco Arts is a 501(c)(3) non-profit organization. We function as an arts advocacy group that serves to advance the arts in Frisco. We do that basically in 4 ways. We advocate for the arts. We expand the cultural artistic and educational opportunities in Frisco. We raise awareness and funds for our local arts groups and we serve as a liaison for city funding. Both of these groups, Public Art, Frisco Art have art in their name, but they do 2 different things. Scott Ellis: … those are the types of things that they’re focused on. Tammy Meinershagen: That’s right, uh-huh. Tammy Meinershagen: Any of the arts and culture. Scott Ellis: … supporting and advocating for in some way, shape, or form. Tammy Meinershagen: That’s right. That’s right. We want to be basically all arts and culture in Frisco and the umbrella agency that handles that. That’s why we’re doing some of our new initiatives. Scott Ellis: We’re going to talk some more about those in a minute. 1 of the big ones that I wanted to ask about was the 2015 bond election. I know 1 of the hot button issue for arts advocates in Frisco has been the lack of a meaningful performing arts center. What we do have is pretty small and pretty minimal. You guys are fighting to get something a little bigger, a little better that can be used by a lot of different arts groups around town. Just for everybody listening, who may not remember this, but last May there was a bond election. There was something called Proposition 8 that was in support of getting a performing arts center at least some funds to help get that started. Haven’t heard much about it since then. It’s been almost a year. What’s happening with that? Tammy Meinershagen: Yes, that’s right. The bonds for a cultural and performing arts center, 10 million, did pass last May. That was a completely citizen-driven effort. It was outside of Frisco Arts. Frisco Arts was an advocate in that, but it was driven by the citizens, by the public. Truly, people voted based on a vision just because they knew this needs to happen in Frisco to make it a well-rounded city. It’s our missing link. We have support, but because it was citizen-driven, it hasn’t been adopted, per se, by a staff person. All the other initiatives have a staff person who is working on them to get them fulfilled. This particular one doesn’t yet. There isn’t as much real movement going on on this particular initiative than the other ones. However, Frisco Arts did partner with Page Architects of Dallas. They offered to do a pro bono programming study which is essentially an initial needs assessment. What does this building need? Who are the users going to be? What kind of spaces do they need? What kind of square footage? It was the first step in moving towards a plan. It’s not a feasibility study. That means it’s not market research. It’s not the cultural and economic impact of a building. It’s really the specifics of the building. What are we trying to build in Frisco? Frisco Arts partnered with Page this summer. We interviewed 16 different stake holders that represented a cross section of non-profits and businesses in all of the different fields, music, dance, theater, and visual art. We also included Collin College and FISD as part of the stake holder input. Page put all of that information together, synthesized it, came up with 5 different building options that were from least to greatest in size and also in cost and square footage. We presented that to the City Council at their winter work session in January. The feedback as positive that this was the most specific that they’ve seen anything regarding a performing arts center so far. Scott Ellis: What is the feasibility study meant to actually address? Tammy : It’s meant to address the economic impact. Can we afford that as a city? Is this something that we really need? From the get go, a lot of people have said, “We don’t need that. We already know we need it.” You can say it and believe it, but you still need to have the research to back it up and show and prove it. That’s what we really do need to have. Once we have that, then you move to schematic design. You can really see and feel the type of building we’re supporting. Scott Ellis: Ideally, this is going to be a building that would be used by a number of different organizations around town. Correct? Tammy Meinershagen: Yes. If it’s something that I would support, then it would be definitely a building that will cater to the local arts organizations, a place for all of our different groups to be able to perform. Right now, with the only public facility being the Black Box, it really limits the groups. You can’t have orchestras and choirs, and even musical theater performances in a black box theater that’s meant really for a smaller audience. We don’t have fly space. You don’t have wing space. You don’t have the kind of sprung floors and things that you need for dancers. We do need a larger facility, one that is catered to the different arts groups and visual arts as well. There’s people who want to see a more beautiful space for visual arts to be featured in Frisco. Scott Ellis: Speaking of those groups and going back to Frisco Arts, who are some of the specific organizations you guys support and for those others that are out there, what is that decision process like that you go through in selecting who those organizations are going to be? Tammy Meinershagen: Frisco Arts gives grants to other non-profit arts organizations who are bringing quality arts and culture programming to Frisco. We just finished up the grant selection process for 2016-2017. This year we conducted our first grant writing workshop in February to help new groups fill out the online application. We created a funding review committee that was comprised of arts advocates in the city that were essentially secret shoppers. They attended the events. They got to know the groups. They had information to share with us during a work session where we went though all the applications in detail and discussed the list of criteria. Since the city funds that we distribute are a percentage of hotel/motel occupancy tax, it’s called the hot tax. It’s really important that these groups satisfy the requirements of the hot funds and that we are directly enhancing and promoting tourism. Those are really the key things we’re looking for. We also wanted to make sure they align with Frisco Arts core values, that they are having Frisco-based performances which again is a little difficult for some groups that cannot actually perform here. They have to perform other places, but the can bring many things here, that the have a wide audience and demographic, and that they have a potential for growth and sustainability. The groups will be online in the next few weeks. We’re working through those right now. Scott Ellis: The reason that some of those groups can’t perform here is just the lack of facilities, right? Tammy Meinershagen: Yeah, it really is. Scott Ellis: In certain cases anyway. Tammy Meinershagen: It’s just size. We have 1 group, for instance, the Children’s Theater Group, they’re doing their best to make the Black Box work, but they sell out 16 performances in about 24 hours. They just can’t do that to the kids anymore. They are moving to other facilities outside Frisco where they don’t have to do that. They can have a 300 seat theater where they can have less performances on the kids. That kind of thing is happening. Also, renting the school auditoriums, it’s not a rental facility. You can’t just walk in and say, “Hey, I’d like that date.” You have to go through a process. It needs to be worked around all of the other school groups that are using that space. As a mom of a high schooler in fine arts, I can tell you there’s a lot of stuff going on in those auditoriums year round. It’s an institutional space so it’s meant for the kids to be using. Even if a theater group wanted to come and use that space, the kids have the scene shop. They’re making their productions on site so where is this other community group going to do their work of putting in the scene and sharing that space? It’s just not ideal. We do need to find a space where these groups can start thriving in Frisco. Scott Ellis: I didn’t realize the Children’s Theater was selling out that many performances. I think Kiss doesn’t sell out that many performances in 1 [shot 00:09:58]. Tammy Meinershagen: It is because it’s a limited amount of seating. They’re also not even really able to open up to the public yet. That’s just friends and family. Scott Ellis: … and that comes through the hotel/motel tax? Scott Ellis: Can you give us some ideas of how much in total? What is the aggregate of what you guys give out? How much are you putting back out into the community from a dollars and cents standpoint? Tammy Meinershagen: Yes, I’m really thrilled to announce that we are more than doubling our grants to local arts organizations this year. Historically, Frisco Arts has been distributing about 60,000 a year in city grants. This year, however, we are giving almost 120,000 to our local [crosstalk 00:10:40]. Tammy Meinershagen: Thank you. We’re so excited to give it away. I just can’t wait to see some of the faces. Scott Ellis: I’ve never seen somebody so happy to give money away. Tammy Meinershagen: On top of that, the scholarships that we’re giving away, they don’t come from the hot tax. They’re going to be coming from our own funding, but we are giving 40,000 in scholarships this year, which is 15 times bigger than previous years. We’re giving 3 $5,000 scholarships through the Frisco Education Foundation to students pursuing a career in the arts. We are establishing an endowed scholarship through the Collin College Foundation for a student pursuing a career in the arts. We’re just so excited because that’s a true investment in the local arts community and the next generation of artists. Scott Ellis: All right. For all the parents that are listening that have kids that are in fine arts, you guys have scholarships for them. Tammy Meinershagen: Yes, we do. I would go to the Frisco Education Foundation web site and have them apply and then go to Collin College Foundation as well. Next year we’re hoping to have our own Frisco Arts scholarships that we will be able to distribute. Scott Ellis: Wonderful. I’m going to go down a topic that is close to my heart. We want Frisco to be better than everybody else. I know the other communities run. I’ve seen Plano, McKinney, Allen are also blowing up, not quite the way Frisco is, but they’ve got a lot going on too. How do the arts things that we have going on here, the funding that we have here, how does that compare to the cities around us? Tammy Meinershagen: This is a bit of a sensitive topic I think. It’s something that not many people are aware of. All of the cities do contribute some of their hot tax funds to the arts. Texas law allows for up to 15% to go to the arts. Plano gives more that 14%, which is almost $800,000. That’s their yearly contribution to the arts. Allen also does upwards of 10%. McKinney, I’m getting their numbers in, but it’s definitely more than what Frisco gets, which is about 1.something percent. The budget for the hot tax is a little over 4 million. When we first started receiving funds, it was in 2004. We received $50,000 at that time. The last funding that we received in 2015 was at $75,000. It still represents a very, very slow drip into the arts for Frisco. Can you imagine how arts and culture could explode if we could really move up that percentage and be able to give away more? It’s not going into somebody’s pocket. It is going to these groups to help them thrive, to help them cover the costs of the professional musicians, cover the costs of the venues, and come up with more exciting and new programming that they can institute in Frisco? Scott Ellis: Hopefully we’ll be able to encourage that to go up a little bit. It doesn’t even sound like we’ve kept pace with our own growth much less that around us. Tammy Meinershagen: That’s right, yes. As an arts advocacy agency, that’s what we’re going to do. We need to focus on that and we will. Scott Ellis: Let’s talk about events. Let’s talk about some things that are coming up that arts oriented. What kinds of fun things are going on around town? Tammy Meinershagen:The first thing I’d like to say is that Frisco Arts has instituted a new FrisGO Arts calendar on our web site. This is a calendar that is open to the whole public, churches, schools, individuals, organizations, businesses. Anyone can go on the Frisco Arts calendar at friscoarts.org and come up with your own login and password and then post your event with pictures, all the details. Those events will be then put into our weekly newsletters. That goes out to over 700 subscribers at this point. It’s a great tool for anyone who wants to advertise their arts and culture event. There hasn’t been a central place to find what’s going on in Frisco regarding arts and culture, performances, poetry slams, anything. This is our way of serving the community in that way and being that conduit. Further out is our inaugural Frisco Arts Walk. That’s going to be on October 8th, 2016. It’s the first celebration of all of the public art in Frisco including the city of Frisco’s own collection, but also the privately owned Hall Collection and the Texas Sculpture Garden, which has over 150 pieces of public art that is free to the public to view. Craig Hall has been such a wonderful support and true visionary. You come to Frisco and that’s that Red Jaguar is the first thing you see off of the Dallas North Tollway in Gaylord. That’s just the beginning. People don’t realize how much art is really right there. We’re going to be showing that, celebrating it, having some art tours. We’ll also have local arts groups performing that day. We’ll have food trucks. We’ll have bounce houses and activities for the kids. At the end of the evening, we’re having the Good Question Band come. They’ll be performing for a couple hours. It’s going to be a great event. Scott Ellis: It’s a chance to see some hidden gems around town that a lot of people don’t even know are there. Tammy Meinershagen: That’s right, that’s right. We’re really excited. We’re going to be also partnering with the CVB and hopefully able to create an app on your phone so you can find every piece of public art on your phone and know who created it, know the mediums used. Scott Ellis: Excellent. It’s hard to overstate how important the arts are to a community. Thank you very much for all you guys are doing to try to further the arts here in Frisco. We got a lot of great things going on. The arts are lagging a little behind. Just keep at it. We look forward to you guys catching up. If there are people out there that want to get involved with Frisco Arts, they want to support you guys. They want to help out and maybe volunteer, or just find out more about you, where’s the best place for them to go? Tammy Meinershagen: All right. The first thing you can do is go to our web site, friscoarts.org. You can also email us at info@friscoarts.org. We are just launching and you’re the first to know about our new membership campaign, which is called our 20 for 20 Friends of Frisco Art. Frisco Arts is celebrating its 20th anniversary. It’s hard to believe it’s been 20 years. Yeah, it was started 20 years ago by leaders, arts advocates in our city who really believe that the arts matter. We have decided to celebrate with a quick and easy way to get involved for $20, you become a friend of Frisco Arts. Scott Ellis: 20 bucks, that’s it. Tammy Meinershagen: Yes, a friend of Frisco Arts is an arts advocate who believes the following: art is a universal language that unifies our growing and diverse community. Art strengthens and sustains Frisco through its social, economic, educational, and community impact. Art is essential to the health and sustainability of our vibrant city. Art has a positive, lifelong, personal impact resulting in increased creativity, volunteerism, philanthropy, innovation, and self-expression. Lastly, that Frisco needs a home for the arts through a cultural performing and visual arts center allowing the arts community to thrive. If you believe these things, then we invite you to become a friend of Frisco Arts for just $20. Your name will be on our web site and you can see all of the hundreds of friends of Frisco Arts that you’ll be joining. Scott Ellis: Wonderful. Tammy, thank you very much for joining us today. Scott Ellis: … because there’s just so much for us to talk about. Tammy, thanks again. Scott Ellis: For everybody listening, we will talk to you on the next episode; not next week.